Alongside the Galaxy Tab S3, Samsung also unwrapped a new Gear VR at MWC that should excite VR fans. The new Gear VR is officially called Gear VR with Controller, because well, it comes with a controller. Think Google Daydream, but for Samsung phones. 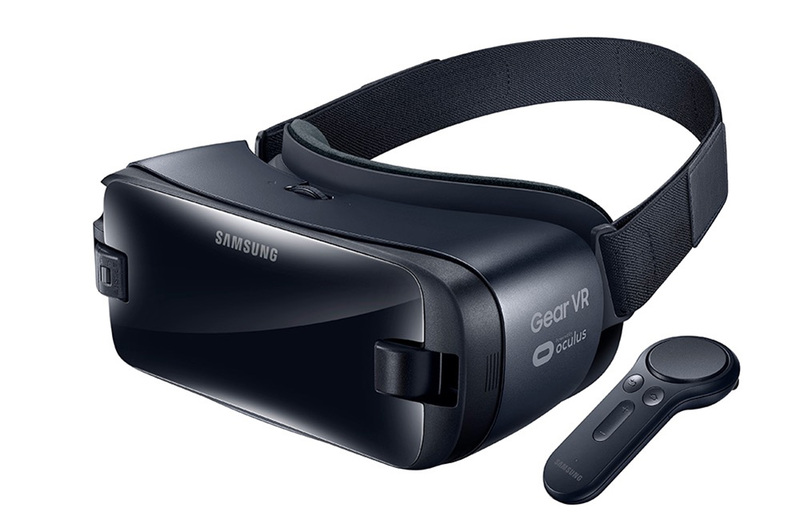 The new Gear VR with Controller features 42mm lenses with 101-degree field of view (FOV) and “advanced distortion correction technology to minimize motion sickness.” Like the previous gen model, it also lets you swap between microUSB and USB Type-C depending on your phone’s port. As a new feature, since it has a controller, Samsung added in a special strap to hold the controller when not in use. The new Gear VR works with the Galaxy S7, S7 Edge, Galaxy Note 5, S6 edge+, S6 and S6 Edge. As for the controller, you get a device with back, home, volume, trigger, and touchpad buttons. It’s powered by two AAA batteries that will get you up to 2 hours of daily use for 40 days. The controller, like with other controller-controlled VR systems, gives users the ability to point and drag and drop and tilt and shoot, and all of that other fun stuff you always wanted in VR, but couldn’t because you had to use a dumb touchpad on the side of your headset. It should make the Gear VR instantly a must-have for VR fans who own a Galaxy device, but also for those looking to get into VR for the first time. Samsung hasn’t said when the new Gear VR with Controller will be available, but my guess is that it will launch with the Galaxy S8 in just over a month.